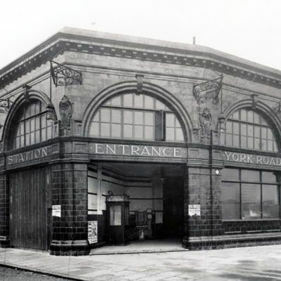 Reuse of the former tube station on York Way to convert this into a new building with commercial and residential accommodation including short and medium term accommodation for the New Horizon Youth Centre. The Youth Centre is located in the heart of the building on the first floor, supported and protected by the other uses in the building. It is accessed by a large spiral stair and lift that also serve the private flats, commercial spaces and roof garden on the second floor. Following Leslie Green’s tradition of designing Underground stations to be built upon, over time further floors can be added to this building as part of the an ongoing funding programme. These new additions to the existing structure will mediate between the tall developments of King’s Cross and the adjacent low-rise housing. Continued development of this through modular construction will allow both the commercial and residential briefs to be satisfied.